cdcindonesia.com - we go back to a quality job information to you, the following job information comes from one of the contractors and a top 5 state-owned construction services company in Indonesia with rapid business expansion, headquartered in Jakarta, that is PT Hutama Karya (Persero) or Hutama Karya.Job posting from our ever PT Hutama Karya (Persero) in March 2013.This job is extraordinary for those who like the challenge of a career and prior to that we would describe this company profile company.PT Hutama Karya (Persero) incorporated in 1963 and formed as the result of the rationalization of the Dutch construction company, Hollandsche Beton Maatshappij. 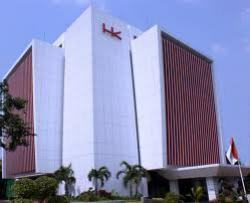 The name PT Hutama Karya (Persero) was launched in 1973. Based on PT Hutama Karya (Persero) Annual Report 2011, the Company had showed significant operational results in 2011. PT Hutama Karya (Persero) posted total net profit worth of Rp116,292 million or increased by 8.88% from previous year. Get free Account at ECC UGM or 50% Off to Join ECC UGM.Please can you read the requirements properly and in accordance with applicable regulations.